EUCCK Vice President Peter F. Thewlis will host a press conference and an investment seminar with Gov. 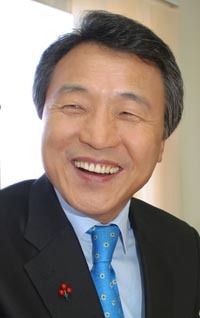 Sohn Hak-Kyu of Gyeonggi Province on May 16, 2006. The press conference and seminar will be held at Namsan Room on the second floor of the Seoul Grand Hyatt Hotel. — Contents : Results in Attracting Foreign Investors and Companies and Plan for Investment Seminar, etc. ※ All the Press are cordially invited to the 2006 Gyeonggi Province Investment Seminar (Grand Ballroom (1st FL.) after the Press Conference. ※ Press release will be provided at the conference room. Kindly confirm your attendance to The Secretariat Office by fax (02-544-0668)or e-mail gyeonggi2006@korea.com no later than May 12th.